You’ve got to be kidding…. 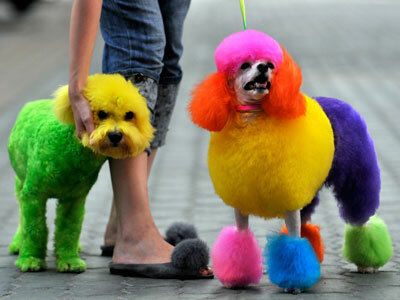 The above pooches didn’t grow multi-colored pastel hair. 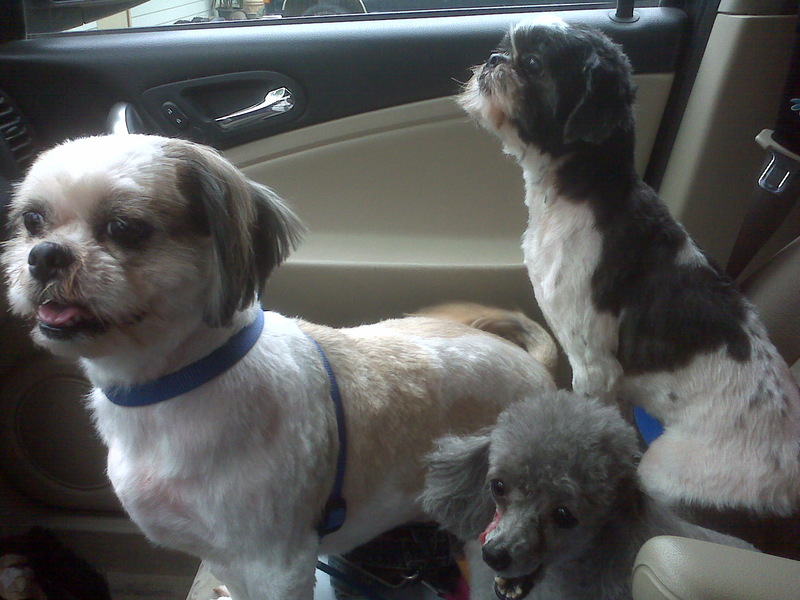 Their owners made a decision for them — to dye their natural coats. Cute? No. Cruel? In my eyes, yes. Dying a dog’s hair is much more invasive than dying our own hair. And, we have a choice. Dogs do not. It simply cannot be healthy to dye a dog’s coat. Their entire body is exposed to the dye compared to simply our heads. So no, I do not find this cute or entertaining. It’s been a LONG while since I’ve blogged on this blog! And I put a pic of my dogs up just because I think it’s cute! I’ve decided today that being tired is a bad thing. I came into work today at 6:15 as I am helping cover while my boss is at a conference. Things just began to go wrong today. I fell down the stairs. My scheduled conflicts with somebody else’s. I could go on and on. So, in utter frustration I had the no-so bright idea of e-mailing my boss. I angrily hammered out an e-mail, not much caring how it sounded. Luckily, I gave myself 30 seconds before sending it to re-read. I was astounded at the snotty language and the negative attitude. So I re-wrote it. I re-wrote it to reflect the dedicated, positive employee that I pride myself in being. I’m not that negative person who typed that angry e-mail because I’m merely not getting my way today. Lesson learned: attitude is EVERYTHING. Absolutely everything. My attitude trickles down to others..and just because I have to be flexible this week doesn’t give me the right to spread negativity.